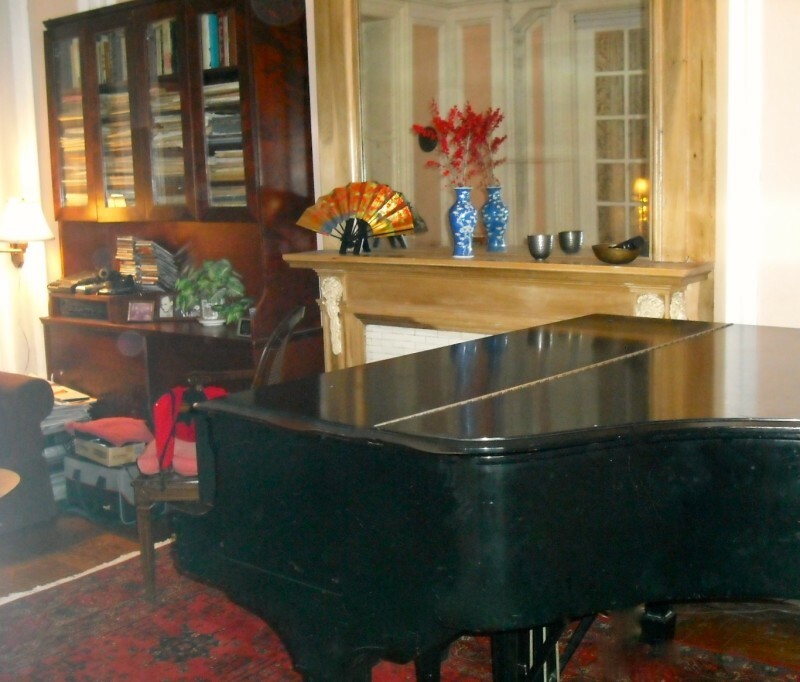 I teach private piano lessons at my studio in New York City on the Upper West Side of Manhattan, and I also give lessons online internationally. The lessons combine traditional musical training with my unique, comprehensive, and transformative approach, the Art of Practicing. In the Art of Practicing approach, you learn to recognize habits of overworking, tensing your body, and losing focus, and to replace them with the experience of comfortable movement, keen, joyful listening, and free musical expression. Through learning basic movement principles, you develop more physical ease at the piano. You also use specific listening techniques to tune into each sound and achieve greater clarity and expressiveness. And you work with basic laws of rhythm and pulse to unlock the natural flow of each phrase and each piece of music. You also use simple mental techniques for developing relaxation, focus, and presence in practice and performance. 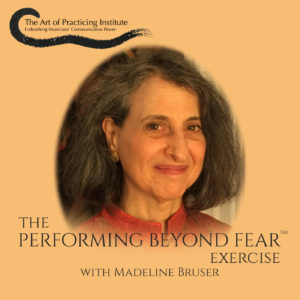 And I offer the Performing Beyond Fear exercise, a short mental technique that transforms stage fright into confidence. If you’re considering lessons, I offer a complimentary 45-minute diagnostic session at my NYC studio or online. Madeline demonstrates an inefficient posture for playing the piano: Slumping forward cramps arm movement and creates tension in the neck, shoulders, and arms. In upright posture, the arms can move freely and the head balances easily on top ofthe spine, easing the load on the neck, shoulders, and arms. Keeping fingers raised above the keys while other fingers are playing requires unnecessary effort from the muscles in the forearm. The excess tension spreads throughout the hand, inhibiting speed and expressiveness. Letting fingers rest on the keys when they are not playing minimizes tension in the hand and forearm, which increases ease and improves tone quality. When the wrist is level with the arch of the hand, the fingers need to bend only slightly to depress the keys. This position also allows the weight of the arm to drop directly into the keys, assisting the fingers in producing sound. Letting the arm move forward to assist a short finger, such as the forth, in pushing down a piano key may raise the wrist momentarily above the arch of the hand. In transferring arm wieght from the forth finger to the fifth, which is even shorter, the arm must move forward farther, causing the wrist to move even higher. Keeping the wrist in a raised position, however, causes strain.